I am worthy of a good job. Subliminal Affirmation for Job Search Motivation: Worthy from Sheilah T. Davis on Vimeo. You are worthy of a good job. 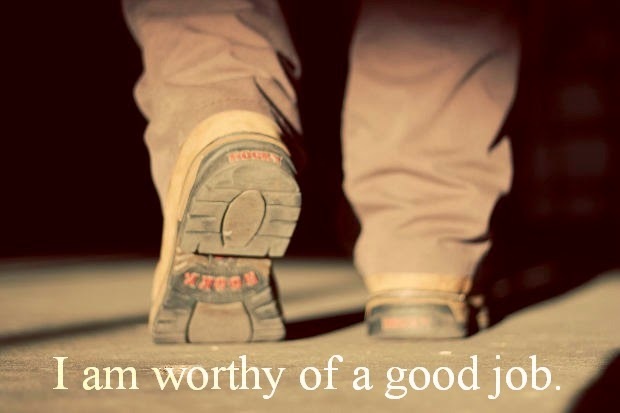 Other people see that you are worthy of a good job. Successful job seekers, just like you, know that they are worthy of good jobs. After five fun filled years, this blog will be discontinued as of September 1, 2014. I’d like to focus on bringing you free full length hypnosis recordings. Please join me at www.davishypnosis.blogspot.com. Thank you for your loyalty!